Hi girls, I hope you've all had a great Memorial Day. My weekend has been kind of busy, I've been swatching almost non stop so I have tons of new things to show you very soon, including nail art. Today's post is a little different than my usual piCture pOlish posts because it's "just" a nail art and not a regular review. 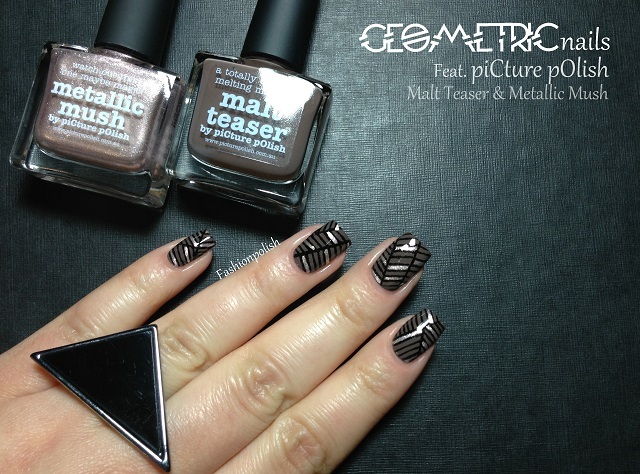 I don't know why but when I saw Metallic Mush I instantly wanted to pair it with Malt Teaser in a geometric design. I started with two thin coats of Malt Teaser, a gorgeous creamy warm taupe, added black lines and then filled some of them with Metallic Mush. Malt Teaser applied like a dream, almost completely opaque on the first coat. Metallic Rush would require two thin coats for full coverage but it looked perfect and intense here with one quick stroke. Well that's it for today, I hope you liked this nailart. Thanks for visiting girls! 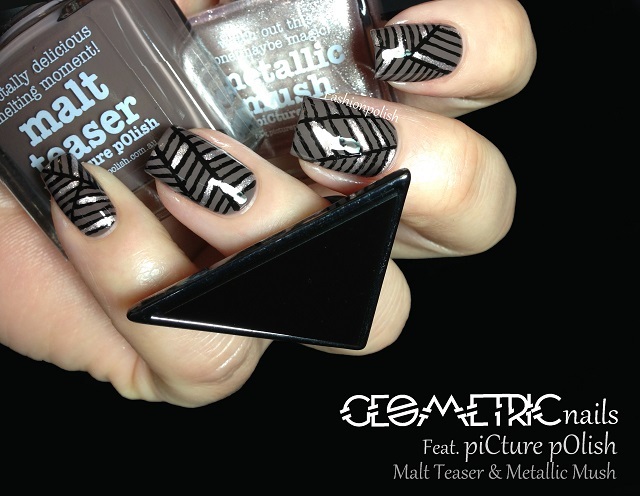 piCture pOlish Malt Teaser and Metallic Rush retail for AU$10 and can be purchased directly from piCture pOlish.com.au or through their international network.